Today, for the second time in a month, I had the pleasure of teaching Beginner's Astrology to a high school class. This makes my heart sing! Not that these kids demonstrated super enthusiasm, but they have begun to research their horoscopes (which are available online for free if you know where to look), and show a healthy interest in discovering what astrology's all about and what they are basically made up of (because their horoscopes are a map of their inborn energy patterns), which can be extremely helpful as they grow, age, interact with the world, and gain experience. It's not often in our society that we're given this type of chance to influence minds as young as fifteen. When I say "influence", I don't mean proselytize or brainwash, but to open a door that might not be otherwise available or even recognized. We started with the very fundamentals, which is to say, the three key factors: your planets, the zodiac signs they fall in, and the houses they inhabit on the wheel with its twelve segments. I'm not a proponent of teaching astrology by mentioning the mathematics involved from the git-go. This is just overwhelming and frankly scary! So, we do nothing more than talk about these basics. What does the wheel represent? What does your Ascendant (rising sign) represent? What can be said about these three different factors? Today, for instance, we learned the difference between having Venus in the first house (self-love) versus having Venus in the seventh (love of another). The kids were also very interested to find the meaning of the North Node. This represents new knowledge, the stretching of experience, and the soul's path. So that's a little prematurely advanced, but hopefully we'll get there. I don't know how many continuing opportunities I'll be given to teach this stuff to these same kids as the year goes along, but I can see their minds starting to spin and ponder. One kid realizes he has a lot of planets in one house. I tell him that means he has a "stellium" and is a very complex personality. Another one is confused about an Ascendant and a cusp. I explain it. I'm happy to be able to teach this. I don't get paid. Our next class will be on rulerships, orbs, and aspects - fairly advanced stuff! New acquaintances have appeared on my horizon who are advanced in my field. We're going to meet in a diner and have an astro-lunch, which could mean horoscopes of ourselves, our family, or famous people spread out in between the egg salad sandwiches and burgers, with us sitting and yakking for hours. Great fun! Wish you were here! P.S. Check out my latest article, "Uranus in Taurus" in the May 2018 issue of Dell Horoscope magazine, archived here. You can purchase my latest book by clicking . Contact info is: Wisdom Path/Judi Thomases, 99 Cherry Hill Rd., Magnolia DE 19962. Phone is 302-697-363. Judi@WisdomPath.com. Also, if you're on Facebook, please Become a Follower of Wisdom Path page, and post you r thoughts about playing the soul's wisdom game of life. All sessions include full astrological interpretation (including transits, lunations, and progressions) with specific dates of energy patterns, plus Tarot and AstroDice. Upon request, I-Ching or channeling is also available. SPECIAL HOLIDAY OFFER. Book a consultation between now and 12/31/2018 (even if your appointment will take place later than this), and ask for a holiday discount. You'll save $25 on a full consultation - including astrology, Tarot, I-Ching or channeling, by mentioning this offer. [Offer not valid on previously discounted items.] $125 instead of usual $150. A GIFT CERTIFICATE (or several!) and apply it towards your holiday shopping list. Cecil College, Elkton, MD - Jan. 18-19th. Judi will do readings. an in-depth look at the new pattern that will affect the world economy and innovation.
" We are aware energy. That is a definition of spirit." "The contract [you made with God] was that you would incarnate in the physical dimension, experience the illusion of separation, pass experience and knowledge back to Source and within that, remember you are Source and return to unity." Write to Judi@WisdomPath.com for your free card today... but don't forget, I'll need a real mailing address because this is an actual card. In the World chart, upsetting news, turbulence, and distaste for war mark Week 1 ( Mercury station direct quinqunx Uranus; Uranus square Node; Mars conjunct Neptune ). Mid-month is cautiously sensible for economies ( Venus sextile Saturn ). Week 3 puts an emphasis on family and idealism ( Full Moon in Cancer; Venus trine Neptune ). Month's end is positive for business ( Pluto sextile Venus; Jupiter semi-sextile Saturn ). For the U.S., Week 1 is stormy but can bring opportunity ( Uranus square U.S. progressed Pluto, conjunct U.S. progressed Venus ). Too much generosity can occur ( Jupiter square U.S. progressed ASC ). The energies from the 5th - 11th are wild, bringing belligerence met with great strength, no doubt the big confrontation with the Caravan ( Jupiter opposite U.S. Uranus; Mars square U.S. ASC, trine U.S. Sun/progressed Jupiter ). Sober but nice outcomes can result between the 8th - 11th, with celebrations ensuing ( Venus conjunct U.S. progressed Saturn, trine U.S. Venus/Jupiter ). On the 15th, we are seen in a good light ( U.S. progressed ASC sextile U.S. Jupiter ). The 22nd indicates loving kindness to our allies and to families ( Full Moon in Cancer conjunct U.S. Venus in H7 ). However, we could end the month in an idealistic daze ( Neptune conjunct U.S. progressed Sun )! For President Trump, a new, more liberated style is seen, and he could sever certain ties ( Uranus trine his ASC, conjunct his progressed DSC ). He feels hopeful the first half of the month ( Jupiter sextile his Neptune ), yet also disappointed ( Saturn square his Neptune ). He has hot words to say on the 6th ( Mercury station direct square his Mars/ASC ), and is ready to tackle old domestic issues on the 7th ( New Moon conjunct his progressed SN in H4 ). He may be hoarse during Week 2, and should avoid speechifying ( Saturn opposite his Mercury ). An unexpected situation crops up on the 13th ( Mars square his Uranus/progressed Node ). From the 19th-21st, he is quite angry but innovative ( Mars in t-square to his Sun, Moon; progressed Node conjunct his Uranus in H10 ). He will find himself pushing to stay on track ( Pluto quinqunx his NN ). Week 4 holds some frustration ( Saturn square his progressed Mars ), but renewed energy and purpose ( Jupiter sextile his progressed Mars, trine his Pluto ), plus improvement of health, positive changes, and opportunity to reach a dream ( his progressed Moon sextile his Sun ). Nancy Pelosi will be quite addled from the end of 2019 until late January, losing favor with her base ( her progressed Moon conjunct her Neptune; Saturn opposite her progressed Venus/Mercury ), a condition that can worsen by Spring ( Neptune approaching her Mercury ). Turbulence is shown in March ( Uranus conjunct her Saturn ) but she can probably hold onto power ( Jupiter conjunct her MC; Pluto, Saturn and Neptune helping her Pisces, Taurus, and Virgo planets ). For more forecasts, check ou t my articles: "The Big Shift: Uranus Enters Taurus", "On the Brink of World Change" and "Neptune & America's Identity Crisis", now posted on my website. Judi Thomases is a frequent contributor to JenningsWire.com and has her own page on the site. 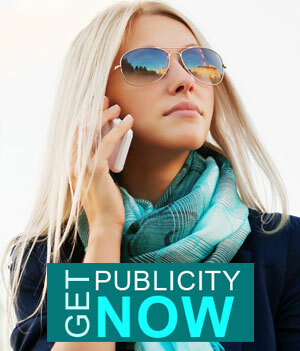 Annie Jennings PR is a National Publicity Firm that works with authors, speakers and experts in book promotion, book marketing and publicity. This topic was the theme of my recent interview podcast on EliteWire.com so I'd like to expand on it. Some of one's natal chart patterns are challenging or difficult, and some are pleasant and creative. Almost everyone has some of each characteristic. Therefore, when we look at what's happening in the sky now, and compare it to your birth picture, we can see the timing of events and the quality of the upcoming new energy relationships. This allows astrologers to predict accurate timing and also to guide or counsel the client away from problems and towards solutions. Sometimes, the problem can't be completely avoided but it can be mitigated. Sometimes, the opportunity is there but it's not obvious. So the astrologer wants to help remove distress while encouraging potential. One of the best things about astrology is directly related to the ephemeris. Astrology, when applied intelligently, is very accurate regarding dates because we see the celestial patterns coming into formation, peaking, and then waning. The timing of these events varies because planets move at different rates; the Moon, being Earth's satellite, moves fastest of all. The symbolism of these celestial events has been validated over centuries. It works whether or not we have an exact explanation for its mechanism. Here are some of the types of questions that astrology can address: It can address career. The initial pattern - your birth horoscope - will show talents and vocational interests. The yearly update will give insights as to whether a career is blossoming, succeeding, or on its way down. Astrology can help you launch a product, pitch a sale, hire the right person for the job, and maximize your success days. It also can give insight into financial matters including raises, promotions, and investments. (There are astrologers who special in the stock market, for example.) Regarding love life, astrology is excellent for comparing two people's patterns, can pinpoint where areas of tension lie, or answer the very familiar question, "When will I find love?" Astrology can help people choose between toxic relationships and beneficial ones, between short-lived and long-lasting. In regard to relationships, astrology can even help parents understand and nurture their children. Astrology is excellent for questions regarding health, and can warn against low energy periods, can have some insight into the nature of the disease and the area of the body in which it takes place (although it does not presume to diagnose or take the place of a professional health provider). It has perception into the duration of a disease. There are many types of questions to which astrology offers insight and understanding. Finally, the slogan that astrologers are taught to adhere to is, "Astrology impels, it does not compel." This means that it can be used to guide, advise, and encourage. But in the end, the client uses free will to decide. In my opinion, life would be far smoother if everyone consulted, or learned the skill, of an astrologer. This is yet another book that a spiritual friend has recommended that I read, primarily to offer her my opinion of its metaphysical level of enlightenment. The book is comprised of fully channeled messages through a psychic with the (unfortunate, in my opinion) pseudonym of Magenta Pixie, and is one of a trilogy - the other two books entitled Divine Architecture and the Starseed Template: Matrix Memory Triggers for Ascension, and The Infinite Helix and the Emerald Flame: Sacred Mysteries of Stargate Ascension. We are also told that the author/channeler has presented more such channelings or transmissions in an extensive video collection on her YouTube site. Her guides have given their name as The White Winged Collective Consciousness of Nine, which she has shortened to simply The Nine. Since I'm also a channeler who since the '90s receives such transmissions from my guides, I have some insight to allow a considered opinion, that being that these messages are from a very high realm sincerely to serve humanity accelerate its spiritual development. Some of these messages are new concepts, to me at least, and some are familiar. However, the sentences vary from easy to fathom to quite difficult. Also, only one of the three books sent was readable because the printing quality of two of them was very poor, with a blurred margin on most of their pages, indicating inexpensive and faulty production values. To give examples of the difficulty of fathoming some of these transmissions, here are some challenging sentences: "Utilizing the very fabric of the matrix, the building blocks of reality known as the 'Platonic solids', one can create a geometric 'hermetic seal' to create a 'energy enclosure' or 'Faraday cage' as a containment field for this work." "Trust that which comes, your DNA (matrix) knows and understands this, for you speak the language, the language of light." There are many such arcane sentences. However, there is also quite a bit of useful information in much easier-to-grasp locutions. One such concept regards the inner work to be done to reach the Zero Point field - a level of awareness from which you can recreate any previous soul contracts. Another excellent concept presented here is the polarization of the self between "service-to-others" versus "service-to-self", with a clear explanation of the differences in alignment, and the requirement of a duality when polarized for service-to-self between he/she who has power and the other who must necessarily be the powerless. To me, this falls under the vampire concept of people who are constituted to drain another's energy. There is discussion of the use of emotion as the means to "hijack the matrix" as opposed to establishing a personal "firewall" to integrate the emotion, thus dissolving its negative strength. An excellent point is made regarding someone who attempts to achieve this integration of emotion but who can't succeed, creating a sense of failure which is detrimental to the journey and throws one into the state of powerlessness. Yet another concept that is presented is the idea of frequencies known as love and light. Love, or as the author calls it, lovelight, holds love as its foremost emotion; and light, or as the author calls it, lightlove, holds knowing as its foremost thought. Visualizations are presented that can help in reaching these two states of bliss. There is advice as to breaking old contracts and creating new and better ones, visualizing the self as connected within the matrix to Source (higher power). There is an Incantation given called The Golden Ark. And there is a section in which questions are asked and answered (it is not clear who asks these questions). On page 81, when the answer is given that "the vision of Earth and humanity taking their places within a galactic society is finally revealed" seems strange if not untrue in our current, very divisive and low consciousness age. There is some wonderful information about mandalas being a two-dimensional picture of a fractal that can be viewed from several angles and pulled into a tube or vortex, symbolizing the torus and the DNA helix. Things get less clear when the discussion turns to 'Metatron's cube', 'the twelve-strand star/crystalline matrix' and/or the 'twelfth dimensional gateway'. I'm not saying that these transmissions are untrue, just that the going gets rougher and rougher in reading the messages. I have not yet read the two other books of the trilogy, nor might I because of the printing flaws, but I can give a somewhat favorable recommendation based on the level of enlightenment that I can make out contained in these transmissions despite the challenges of the lack of clarity of the readability of many of them. 3 stars. Hark! Hello again. Here we are, watching at a precipice. Will the world choose to collapse, decay, self-destruct, or will the world choose light, love, and continuation of creative expression? There really is no choice in this matter, for it is all illusion, and the cycle of continuation is eternal. It may appear that humanity is about to fall apart, self-destruct, or otherwise end its game of life. But in truth this cannot happen, for All That Is (also called God, Source, or Fountain of Light) has no other option or task than to continue playing out its lively, energetic, and ultimately delightful game so that All That Is may learn all that there is to learn from existence. Life is the means by which spirit learns and plays with creative expression. That being the case, people's anxieties can and should begin to allay. People can and should return to inner calmness, secure in the (new) knowledge that life will evermore continue, and that the game of life on Planet Earth will also work its way, twisting and turning, through each new phase until the end of time. We say "the end of time" not to denote the collapse of existence but to reinforce the new discoveries about the nature of time. Humanity is on a verge. It is the verge of discovering much more about the nature of time, and what is meant by linear time. Linear time is a construct helping humanity to negotiate the stages of learning (wisdom, inner truths). And so there will be a period ahead when humanity begins to deconstruct the notion of time. The prophecies that have forewarned about "the End Times" will be seen in a new light - light always being illumination, enlightenment and/or wisdom. Once this occurs, humanity will have a new way of interacting with life on Planet Earth, and it will be good. It will be better, for with this knowledge and wisdom will come empowerment. Once the arrow of time (the illusion of it) is broken, all things are possible, all realities are at your fingertips, and if you don't like what you see "ahead", new choices will be available. For now, this teaching, this understanding is too much. So, we leave you simply with the idea that things are not ending. Life goes on... and on and on. And your inner state of calmness or serenity can be reestablished, which of course will be good for the entire planet. We thank you, and withdraw. Judi@WisdomPath.com. © 2018 Judi Thomases. All Rights Reserved.